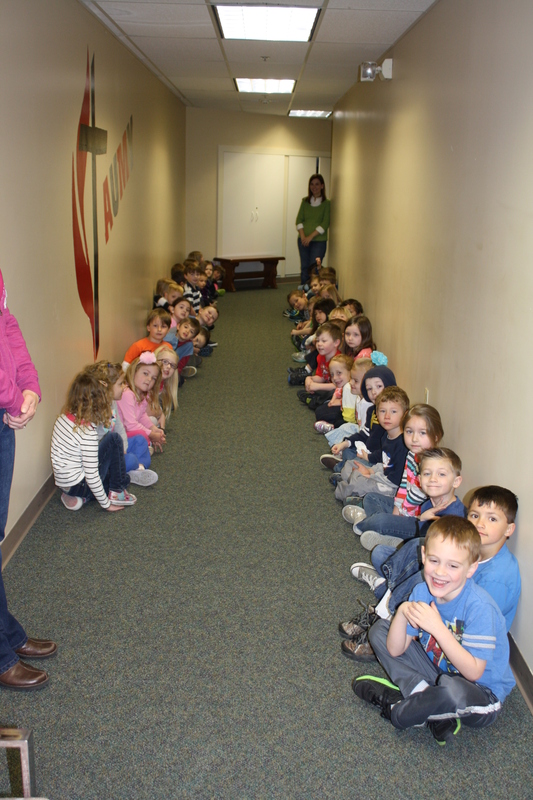 As I give tours to prospective parents here at Aldersgate, I’m often questioned about how we teach reading and writing. It’s an important question and one that should always be addressed. But, it’s also difficult to answer well in a short conversation. Quite often when I talk about our curriculum objectives, I hear parents concerned because their child already knows their ABC’s, “Shouldn’t she be learning to read and write next?” It’s another good, valid question. But, it’s also so important to note that there is so much more that goes into literacy than just identifying letters: we first need to build that foundation. While doing worksheets, flashcards, and workbooks would possibly sound good to some, it is far from appropriate or effective in teaching early childhood. 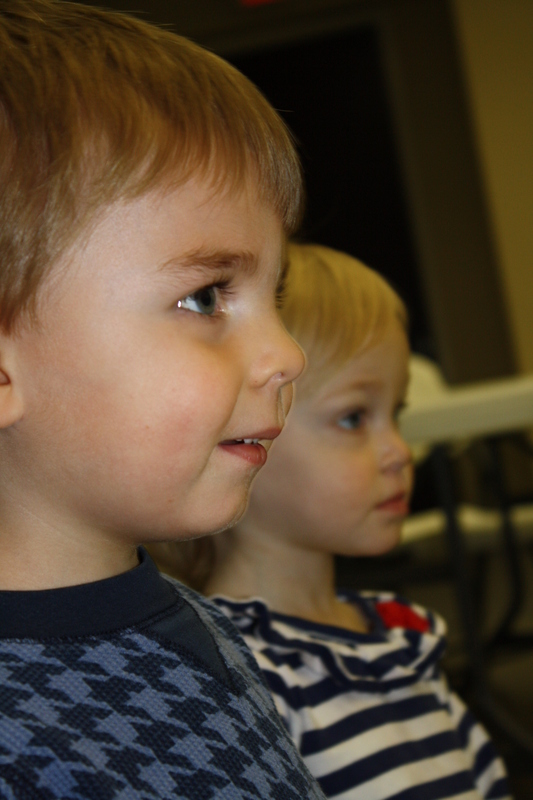 Our emergent and early literacy teaching strategies are the most effective but not always as visible to those who are not trained in education. 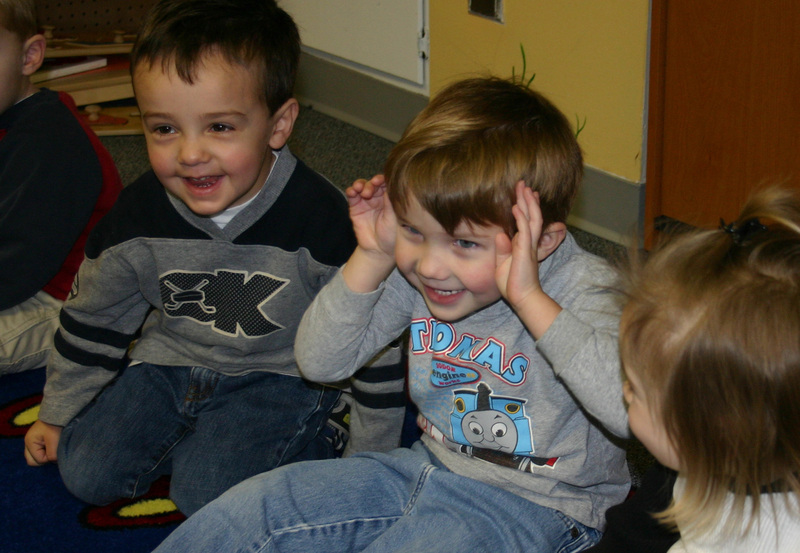 Research has shown that the most important factor in predicting reading success is phonemic awareness. It’s a good skill to be able to identify the letter “B” but it’s an even better skill to know that “b-b-bone” begins with the letter “B.” For circle time, sometimes children will find an object sitting on their spot. 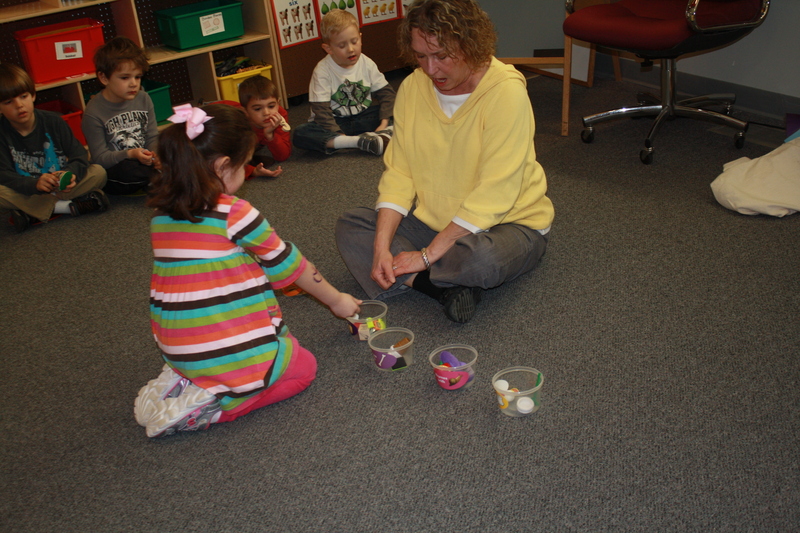 They take turns deciding what beginning sound their object makes, and adding it to the bucket. Print concept is another important part of early literacy. Some of your child’s first words may have been “McDonalds” or “Target.” They begin to see that letters combine to make up words and that words can be combined to create sentences and stories. 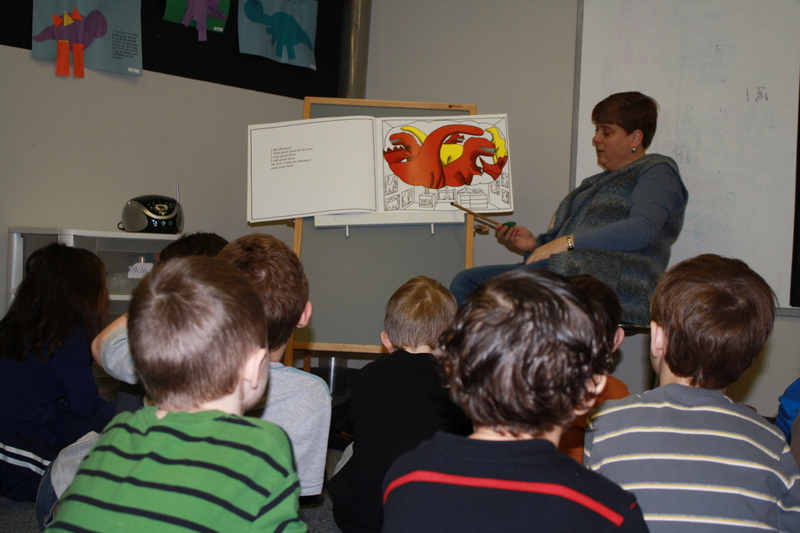 We also read to them books that are rich in good vocabulary. We ask questions, “can you sound out this word?” They sometimes read with us when we are reading books with predictable text and rhyming. Oral language skills are also very important in literacy. 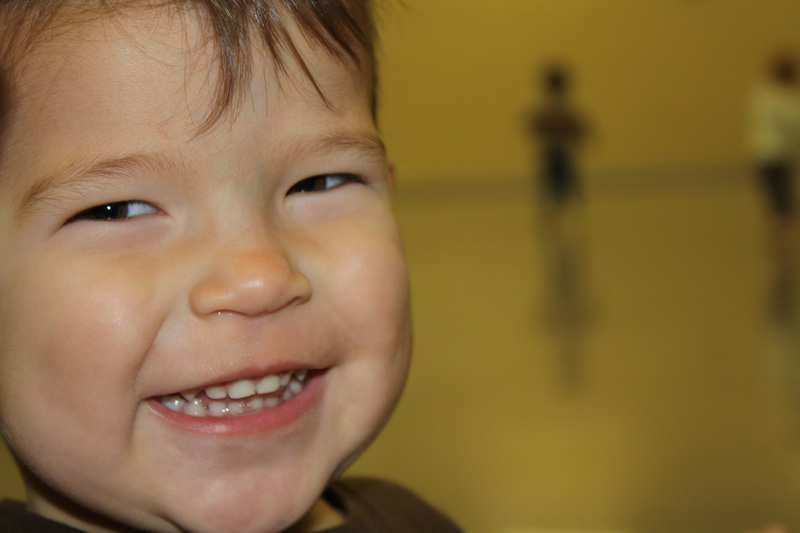 When children are sharing their thoughts aloud, they are using vocabulary, practicing their dialogue, learning to be expressive, and so much more. We do this all the time at preschool. When we have the Mystery Bag, we have to come up with 3 clues that describe our mystery item. Our parents dictate our words down and our teachers help us read them. We share with the class and all of this is great practice for our emerging reading and writing skills. When we write, we are practicing early literacy. 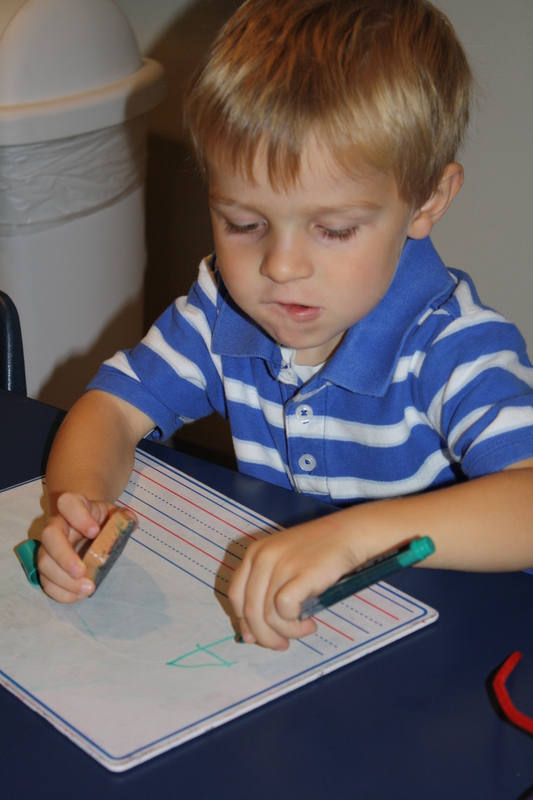 Even if your toddler is drawing lines, he/she is beginning to practice writing. The basis of forming letters is lines, diagonals, and circles. Whether you’re using crayons, sidewalk chalk, or even your fingers in shaving cream, you are practicing early literacy. So, while those flashcards, workbooks, and “teach your child to read” television programs seem great, they are not effective. 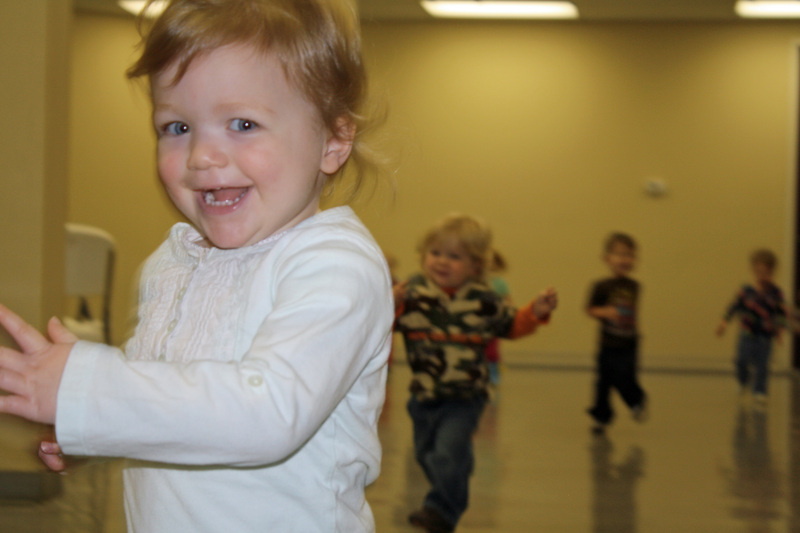 Children learn best through hands-on activities, through music, through play. Some children do learn to read words through worksheets or TV but studies show that they miss that strong foundation. 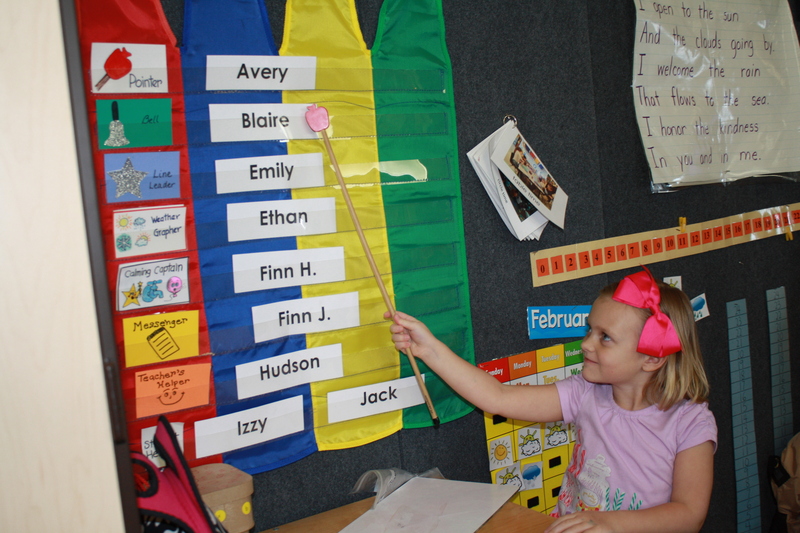 Studies have shown that children who attended preschools where curriculums were focused on worksheets may begin kindergarten as readers and writers but years down the road, when assessed in 4th grade, they were either equal to their peers academically or actually even behind. When a child’s educational foundation is rich in developmentally appropriate curriculum, when they learn through play, when their environments are rich in literature and inspire learning, they have a far better chance of being successful readers and writers. For ideas of things that you can do at home, check out this post here. 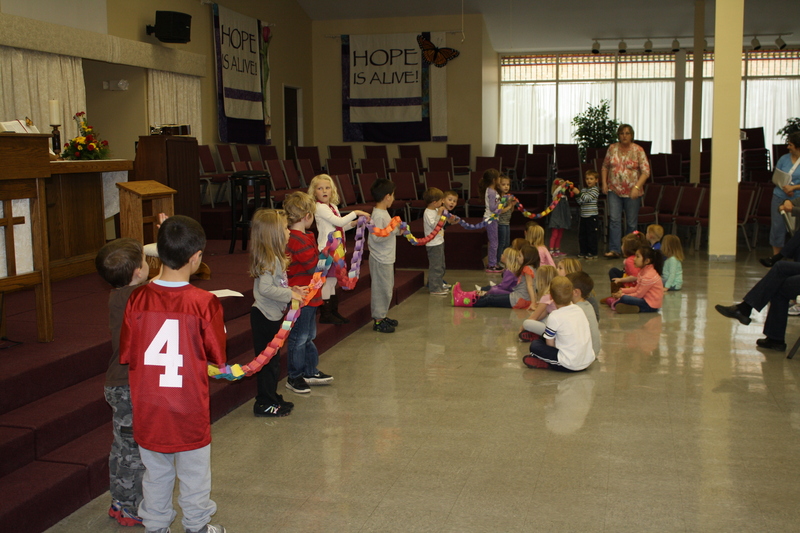 In the morning devotion Ms. Shelly showed everyone how long the kindness chain is – it almost stretched across the sanctuary! 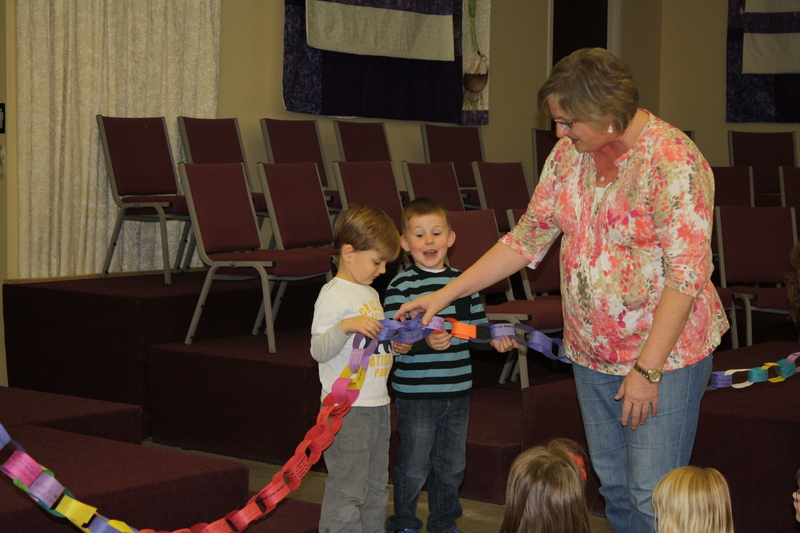 In the afternoon worship we even counted the links up to 100 and estimated the rest of the links. There are many more than 100. Amazing! Our children are being so kind and helpful. I hope this is something you are still talking about at home. 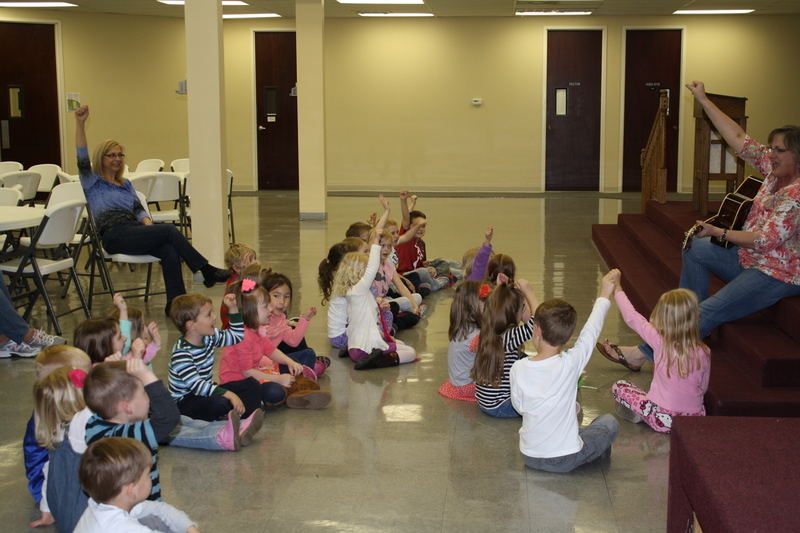 We learned a song about having God’s love “Deep, Way Down Deep” in our hearts. It is that love that prompts us to show kindness and to be helpful. Here is a link to this song performed by the christian music group, Selah. http://www.youtube.com/watch?v=8voWjzMB82g We modified it a little for the kids but they will still enjoy this. Thank you God for all the ways you help us. Help us remember to always help others in every way we can. Amen! 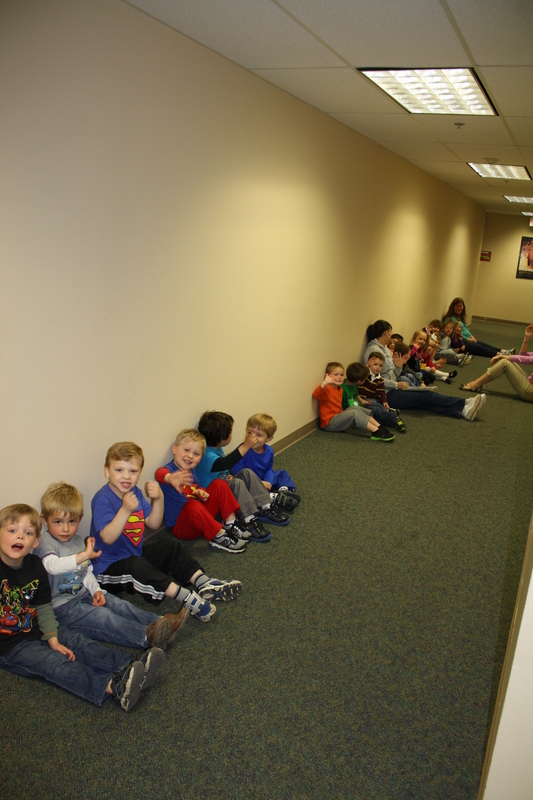 Before our Discovery Days 1 class returned to their room we took advantage of the cleared out space in our worship center. I am sure you know it but I’ll say it again – running is fun! We shared excitement and energy but we also learned a lot! 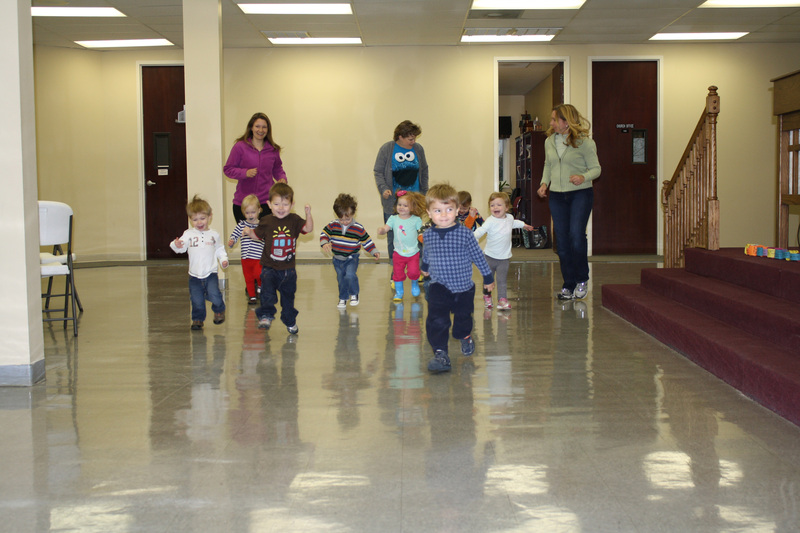 We had some real life experience with body space awareness, coordinating movements with friends, stomping, galloping and other movements, self-control as we waited for the “Ready, Set, Go,” and so much more. Don’t you love all the happy smiles? 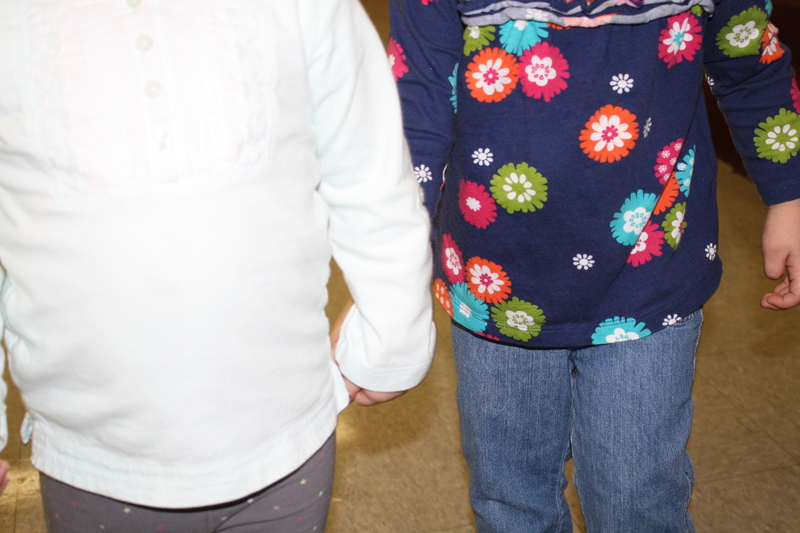 And kindness – we practiced kindness (holding hands and helping) even in our busy play. This was all a spontaneous activity but it was a good one! Discovery is magical to children and so is science. 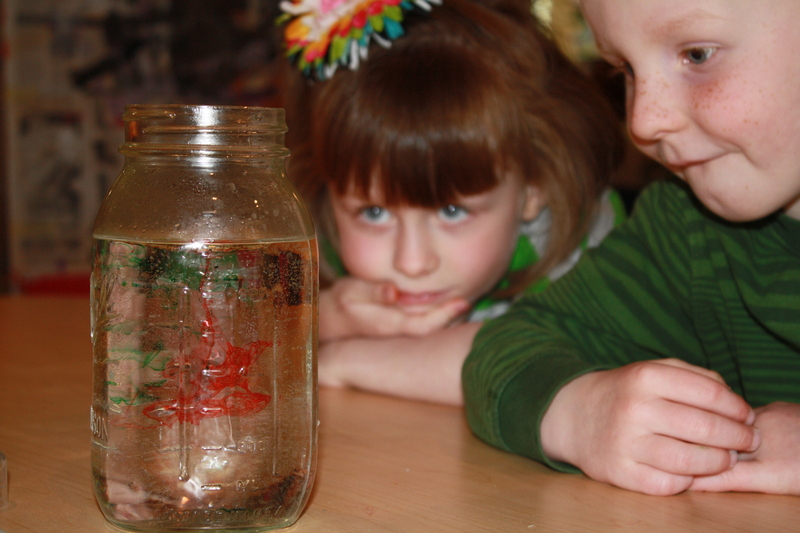 For some fun science experiments that you can do at home, check these out here. I know I have written quite a bit lately about parenting. I guess it is what’s on my mind so it’s what you get to hear about. I hope you don’t mind a couple more posts on the topic. Today I read an article on the blog Growing Leaders – Tim Elmore on leading the next generation. I have never seen this blog before and I don’t know what else Tim writes about but this post really hit a few buttons for me. 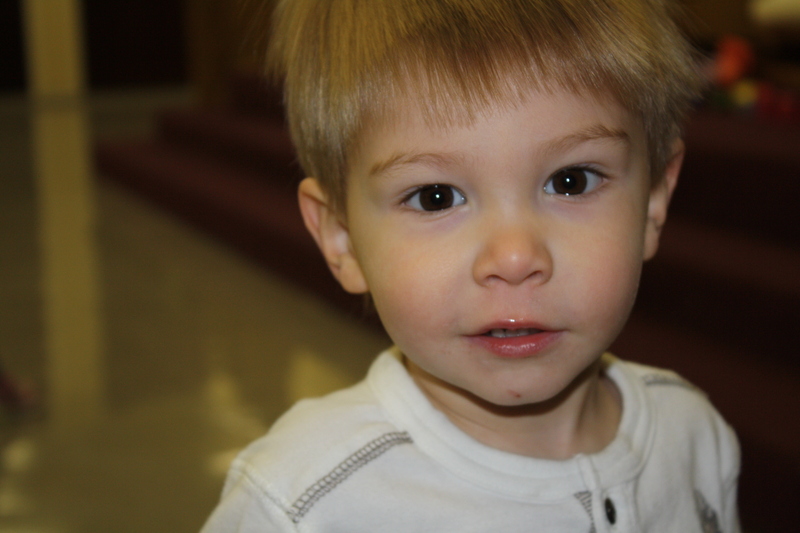 He writes about Three Huge Mistakes We Make Leading Kids – And How to Correct Them. You can find the article here: http://growingleaders.com/blog/3-mistakes-we-make-leading-kids/. I hope you will take I time to read it and reflect on what he says. I also thought I would share my reactions. Yes, the other day she slipped and bumped her lip as she climbed. While I quickly scooped her up to comfort her, I think that moment of hurt is minor compared to the huge value of her “can do attitude” developed from all the other times she was able to accomplish it by herself. Many of our parents are proud the have children that are now “zipper stars.” A little paper star is a prize to any three or four-year old that learns to zip his or her own coat. I love the moment when a child works, and works until finally he can zip it himself. I absolutely love to see a child beaming with accomplishment. Sometimes though it is hard to NOT help. It is hard to watch as your child can’t quite get the puzzle piece into place. It is hard to see your child in a disagreement with a friend. We want our kids to have life easier than we did. However, it is those little struggles that build perseverance. 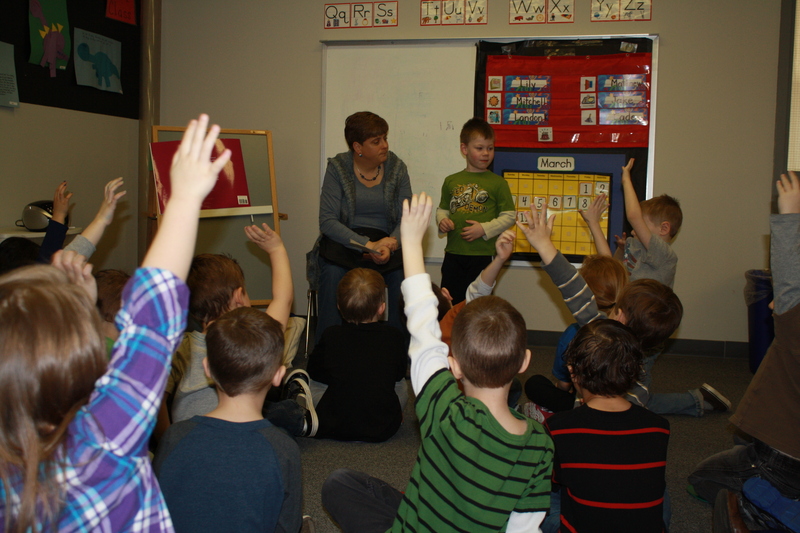 A disagreement gives children a chance to practice assertiveness skills. I am reminded of an article I read about the struggle of a butterfly as it leaves the chrysalis. If someone “helps” the butterfly by breaking away the skin of the chrysalis it actually dooms the butterfly as it’s wings are not strong enough to fly. 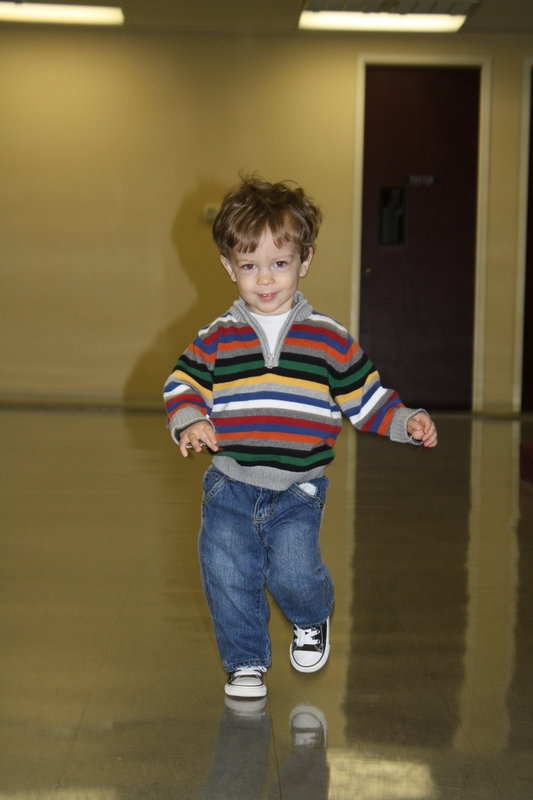 Just this week, a teacher and I were talking about the need to praise what the child is doing (the effort) – not the child. Yes, our children need to know we love them and treasure them beyond words. We tell them that when we spend time with them, care for them, feed them, play with them . . . and finally when we tuck them in with loving words. With that said, we have plenty of other opportunities to focus on what they are doing. “Wow, you are building a tall tower.” “You are working hard to write your name.” “I see you are making a drawbridge for your castle. Here are some supplies. I am sure you can do it but I am here if you get stuck. I can’t wait to see what you come up with.” Okay, I’ll admit those words don’t roll off the tongue. We are not used to this kind of praise but with practice we can do it. As Tim Elmore says in his article, focusing on what children can control (their actions) will encourage them to continue working hard even if at times they fail. I hope you have read Tim’s article. While some of the examples he gives may seem extreme, I believe we can all take something away from the ideas he presents and approach parenting with a little different focus. Save your money ‘cuz the best games for kids are FREE! I don’t know about you all but since my children were very small, they have loved to play games! 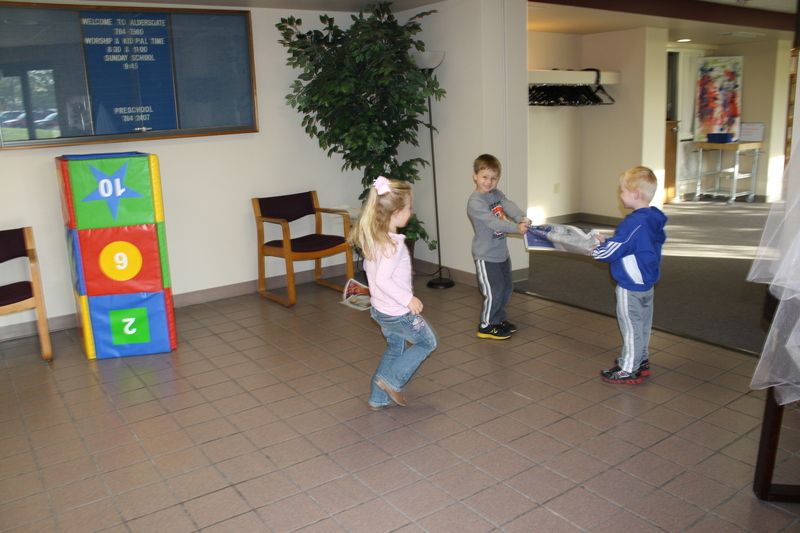 Games are something that are relatively inexpensive, fun, and can be very effective in developing great skills. I posted here about how great board games are. We also play some great games during large motor time that have become the children’s favorites. Many of them probably sound and look familiar because they may be ones that you did when you were a child! First of all, everyone loves balloons! 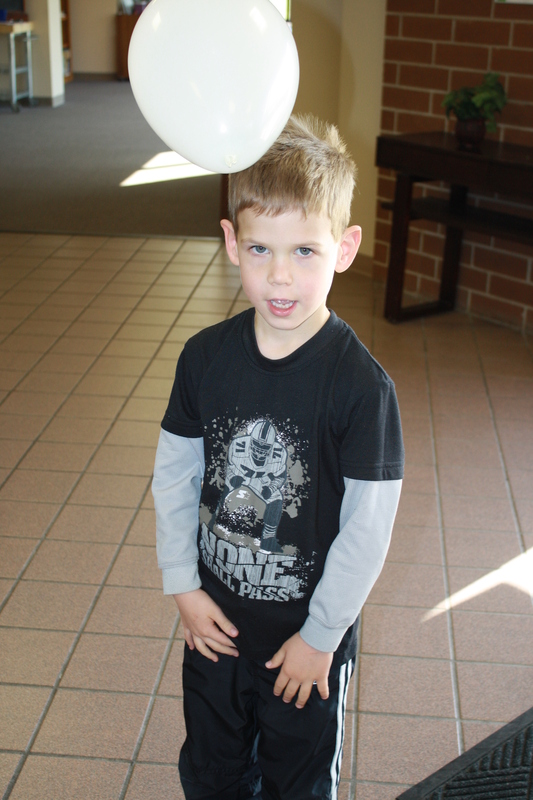 They are great to practice eye/hand coordination as a child tries to keep them in the air or can become a fun science lesson as children learn about static electricity! “Red Rover Red Rover send Olivia on over!” While I remember as a child loving this game, I also remember hurting my arms as children tried to break through. But, if you use pages of newspaper for them to break through, the effect is just as great! They love to tear that paper! A child sits in the middle of the circle and hides his/her eyes. While the child in the middle’s eyes are closed, the children in the circle choose one person to hide a button. They chant “Button Button Who’s got the button?” The child opens his eyes and tries to guess who is hiding the button. All of the children get a kick out of trying to pretend they have it/don’t have it. Once the child in the middle guesses who has the button, the child with the button gets to move to the middle of the circle and hide her eyes. Simple but oh so fun! Another favorite is called “What Time is it, Mr. Fox?” Children stand in a line while one child is about 20 feet in front of them either facing them or with his back to them(he’s Mr. Fox). The children yell “What time is it Mr. Fox?” He tells the time (5:00), the children take that many steps toward him and then ask again. “What time is it, Mr. Fox?” 8:00. This goes on and the line of children get closer and closer to the fox until he is ready to say “midnight!” at which time the line of children run back to their original spot trying not to get tagged. The tagged child then becomes the next Mr. Fox. Perhaps you remember some others from your childhood that were your favorite. Try them out with your own children. My own love to play “kick the can” or “hide and seek.” Now that the weather is getting warm, these games can be played outside! Much like board games, there are so many wonderful cognitive, gross motor, physical, etc benefits to these games but most importantly, you are creating memories and building your relationship with your children through PLAY!